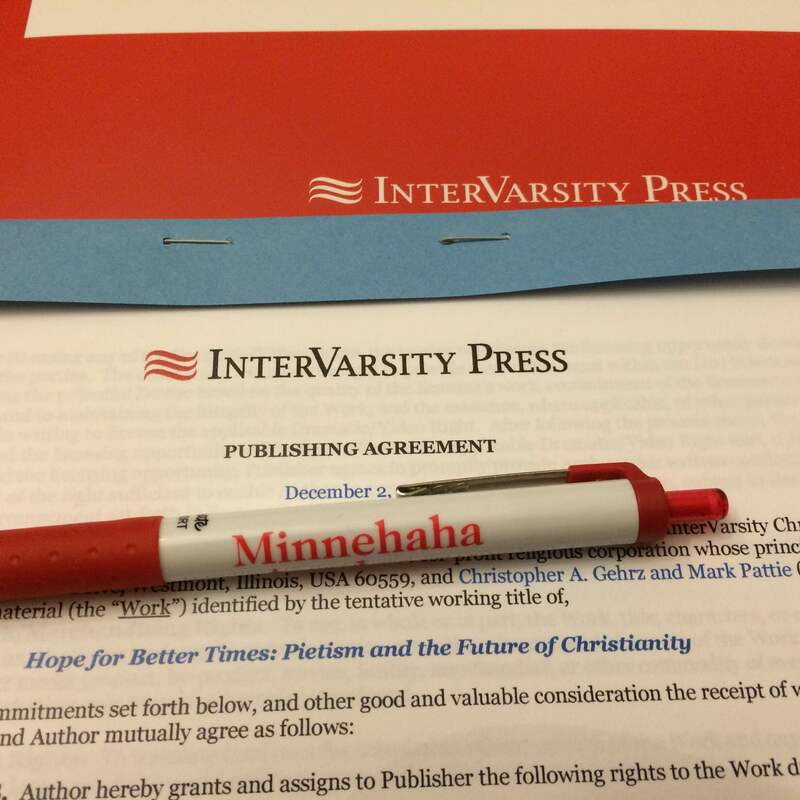 My co-author Mark Pattie and I are due to deliver the manuscript for Hope for Better Times: Pietism and the Future of Christianity to InterVarsity Press by the end of October 2016. So hopefully you’ll be able to read it by mid-2017! 1. It’s the Pietism book I can really recommend to everyone. A former history major at the University of Maryland, Mark went to seminary at North Park and has been senior pastor of Salem Covenant Church since 2006. In 2013 he received a Clergy Renewal grant from the Lilly Endowment. Now, people have been incredibly supportive of my two previous Pietism projects. Even if they found The Pietist Impulse in Christianity (2011) too eclectic or academic, my family and friends were too happy for me to say so. And if The Pietist Vision of Christian Higher Education (2015) didn’t exactly address a topic of immediate relevance to them, even acquaintances at church still found a chapter or two to like. With this book, Mark and I have the chance to recommend Pietism to the widest possible audience. While it draws on resources from the past, let me stress that Hope for Better Times is not a history. Instead, it is meant to address problems and suggest possibilities for Christianity today and in the years to come. Though short in length (maybe 130 pages or so), it will touch on everything from the Bible to prayer, preaching to education, the common priesthood to the common good. Rooted in a conviction that the God of the Resurrection is making all things new, Pietism holds out hope for the renewal of individuals, of the church, and of the world. With its emphasis on the integrated, all-encompassing nature of Jesus’ call and the gift of his spirit, Pietism offers Christians a faith that connects meaningfully and decisively with the head, the heart, and the hands. With its conviction that our shared mission trumps doctrinal disputes, Pietism reminds Christians that the Church’s unity is its first and best form of witness. With its commitment to make faith active in love, Pietism encourages Christians wearied by culture wars and frightened by secularization to serve the world — not to rule, mimic, or withdraw from it. Hopefully you’ll be as intrigued as the publisher. 2. It’s a chance to work with IVP again. 3. I get to write it with a friend of mine. I’ve been thinking about this project for over a year now, but things didn’t really take off until I got the idea of asking Mark to write the book with me. Excited as I am by the topic, I’m also eager to work with a good friend — and to introduce one of the best preachers and most prayerful people I know to a much wider audience. While the book itself won’t be out for more than a year, we’re going to give you a chance to preview our work — and to help shape it — starting next month. Stay tuned for that announcement, coming Thursday! Is the CCCU “Already Dead”? May I confess to envy…publicly…right here? What a blast to write together! And to have a contract with IVP! Oy! Congratulations. What an accomplishment (or one nearing completion). I’d love a tutorial on the fine points of pietism sometime. Such a relevant topic! I look forward to learning from it and hopefully integrating its insights at Minnehaha. Like the pen!